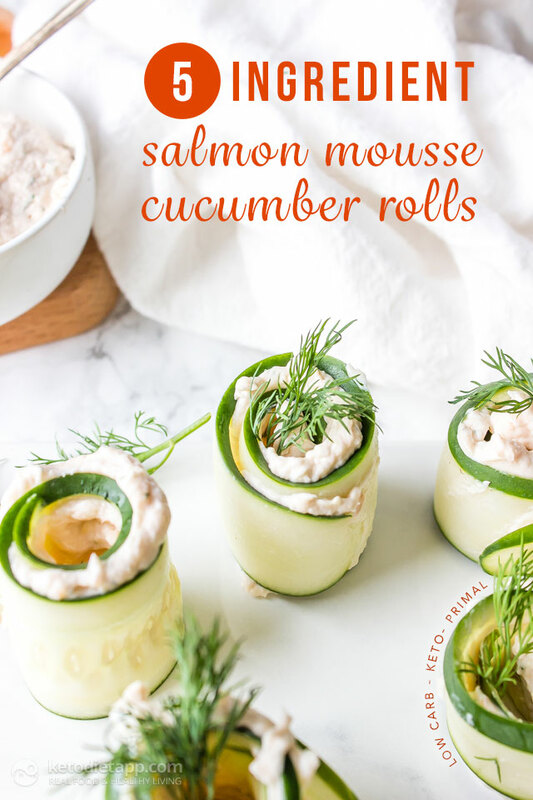 These Salmon Mousse Cucumber Rolls make a great low carb/keto friendly party appetizer! I’ve also been known to eat these for breakfast as well since smoked salmon is one of my favorite foods! If you’re dairy free I’ve had great luck using an almond based cream cheese alternative like Kite Hill. Sometimes I’ll add some capers and red onion to the mousse too but this version is classic, simple, and totally delicious. Recommended serving size: 4-6 rolls. Start by using a mandoline to thinly slice the cucumbers into long strips. 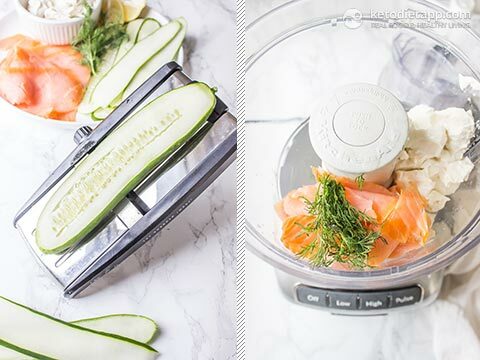 Place the cream cheese, salmon, dill, and lemon in a food processor and blend until smooth. 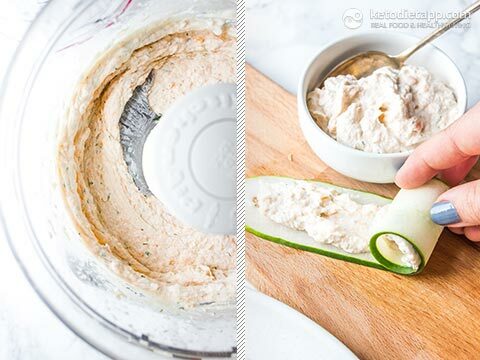 To assemble take a slice of the cucumber and spread a layer of salmon mousse on the top. Roll up tightly, it should hold perfectly. 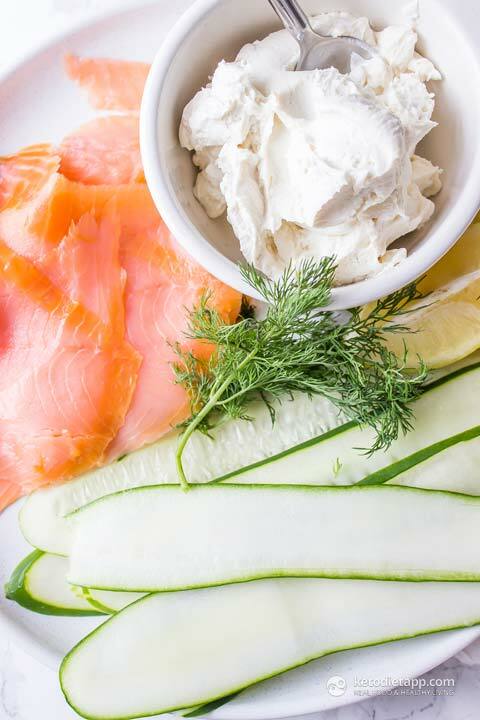 Garnish with a piece of dill and serve. 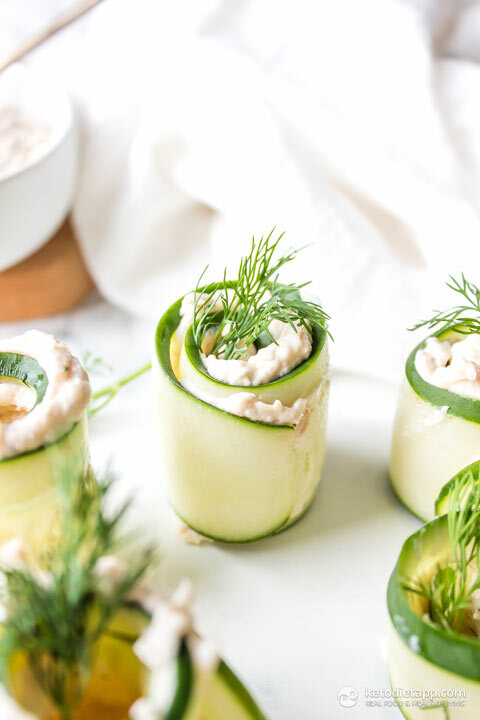 Can I cut the cuecumber into chunks, hollow out part and pipe in the salmon mousse and add a sprig of dill? Absolutely, that's a great way to serve it too! Do you cook the smoked salmon 1st or it is raw? Hi Carol, it is "raw" smoked salmon slices (the thin slices, not fillets).